What animates the effectiveness of the Lohmann Quitno team is our ability to be responsive to change and to utilize a variety of delivery methods to satisfy our clients’ needs. The use of technology to support, document and market our work gives us the real-time feedback we need to be responsive and flexible in a demanding marketplace. Plan Production While we still utilize pencil and sketch paper to develop preliminary ideas, all of our finished plan work is developed using AutoCAD 2018 (Civil 3D) software. 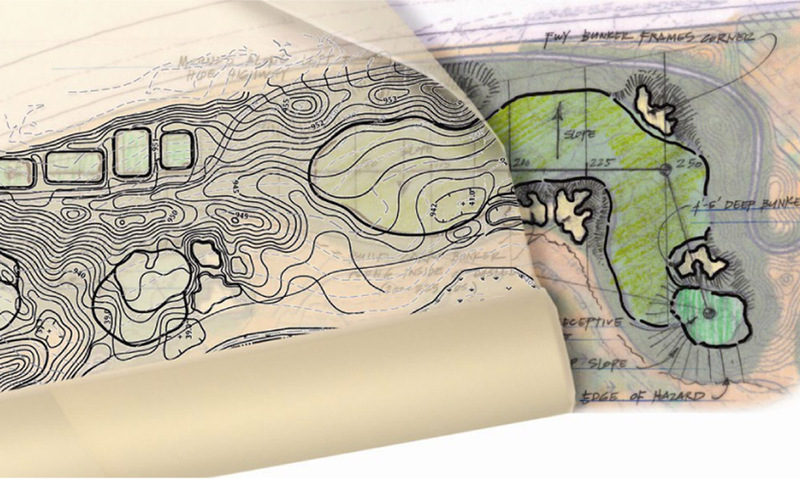 This innovative program allows us to easily produce plans in full color and at varying scales. All of our design work is available in electronic or paper formats and produced entirely in-house for fast and easy distribution to our clients, whether via standard UPS delivery, email, or ftp site. Drone Analysis The use of drone imaging is an effective way to gather and assess real time data for golf course analysis and construction approvals. At Lohmann Quitno, we use this technology to develop animated course fly-throughs, take promotional photographs of completed work, and to review construction progress. The image to the right is an example of the latter, showing a drone shot of the putting green subgrade at Medina Golf and Country Club with elevations painted at 10′ intervals. 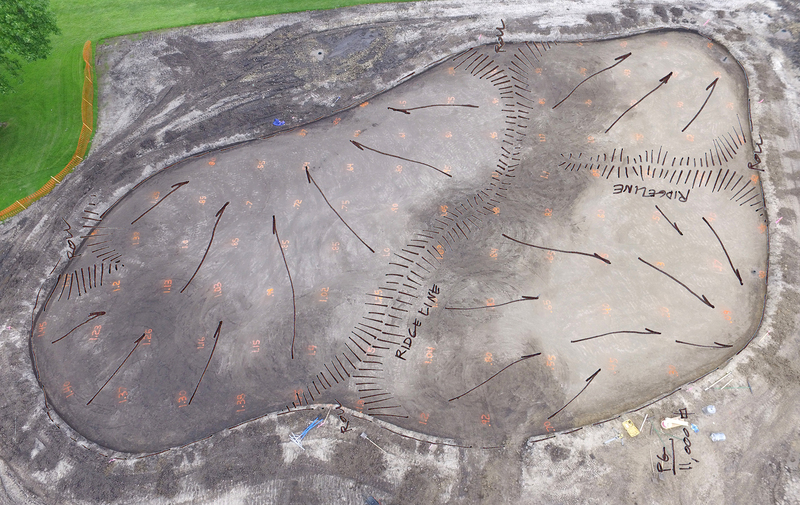 The image was used to analyze drainage patterns and slopes, allowing us to give the contractor the go ahead for drainage install with minimal turnaround time. Before & After Computer Imaging At Lohmann Quitno, we also utilize photo manipulation technology to create before and after imaging of proposed golf course changes before ground is even broken. This is an extremely valuable tool in the presentation and sharing of ideas. Using three-dimensional imaging allows our clients who are largely unable to interpret two-dimensional plans to “visualize” the proposed changes in a photo-realistic format. In the example below from the Bridges of Poplar Creek, the middle photo shows our artist’s rendition while the bottom photo shows how it was actually rendered in the field. Before Note the failing wall, Willow encroachment and visually obtrusive bridge. Proposed Our computer generated “after” shows a new stone wall, expanded water area and relocated bridge. Constructed The finished product closely resembles the above “after” photo.